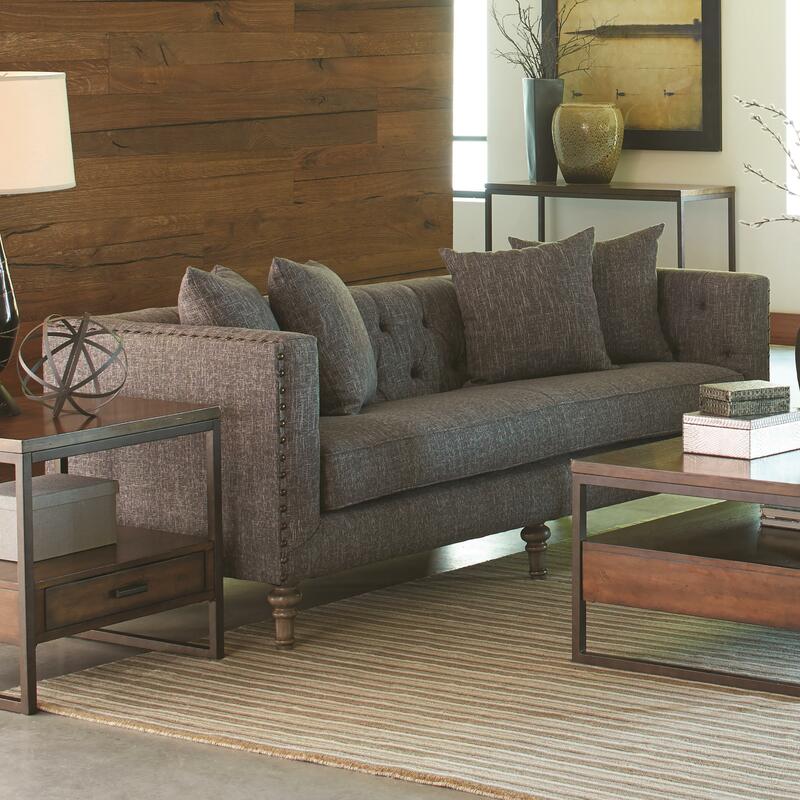 This affordable furniture piece is one that is hard to ignore. 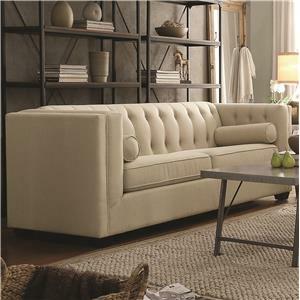 It features classic charm but also works well with industrial accents - a style element that is trending today. 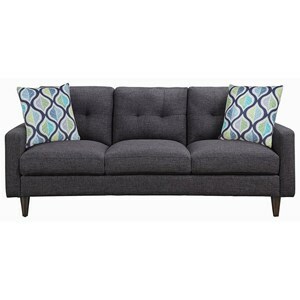 Design elements include a tufted seat back and single seat cushion design. This piece is complete with nail heads, wooden feet and coordinating toss pillows. 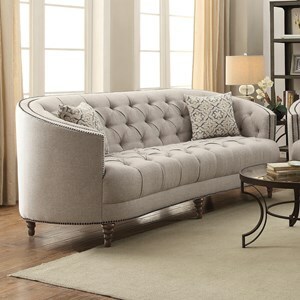 The Ellery Sofa with Traditional Industrial Style by Coaster at Value City Furniture in the New Jersey, NJ, Staten Island, Hoboken area. Product availability may vary. Contact us for the most current availability on this product. Arm This collection features high-set tuxedo style arms. The wrap around from the seat back and are bordered with wide set nail head trim. 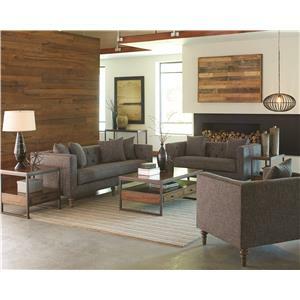 Enter into a room filled with the raw beauty of old world charm with this living room collection. 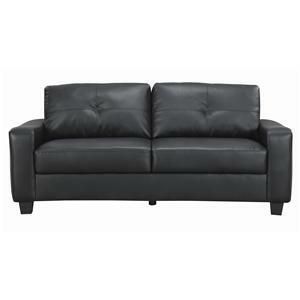 This affordable furniture collection features a style that simply cannot be ignored. 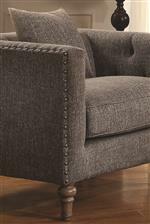 Taking its direction from traditional design elements, this group features tufted tuxedo backs framed with industrial looking nail head trim. 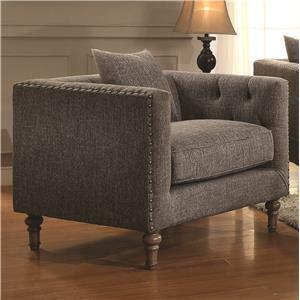 Items are complete with turned wood feet in a weathered grey finish and coordinating toss pillows. 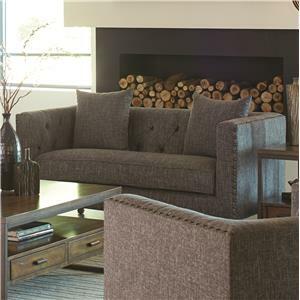 The Ellery collection is a great option if you are looking for Industrial Transitional furniture in the New Jersey, NJ, Staten Island, Hoboken area. 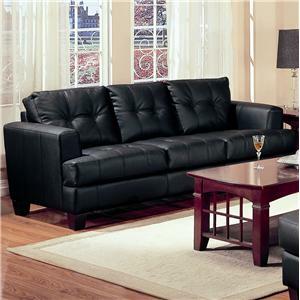 Browse other items in the Ellery collection from Value City Furniture in the New Jersey, NJ, Staten Island, Hoboken area.